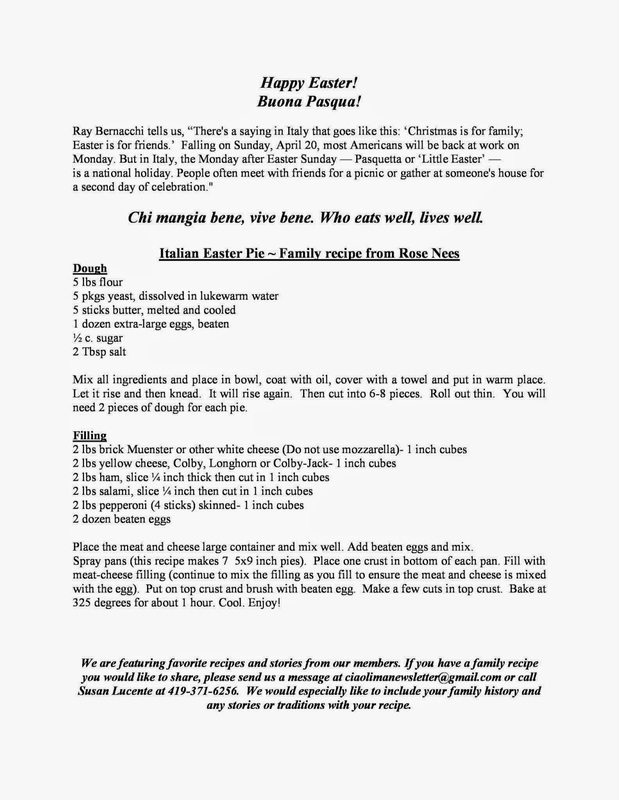 Easter is right around the corner and this Italian-American family tradition comes from CIAO member Rose Page Nees. The Page-Nees family gets together every year on Good Friday to make this recipe together. Mangia bene!